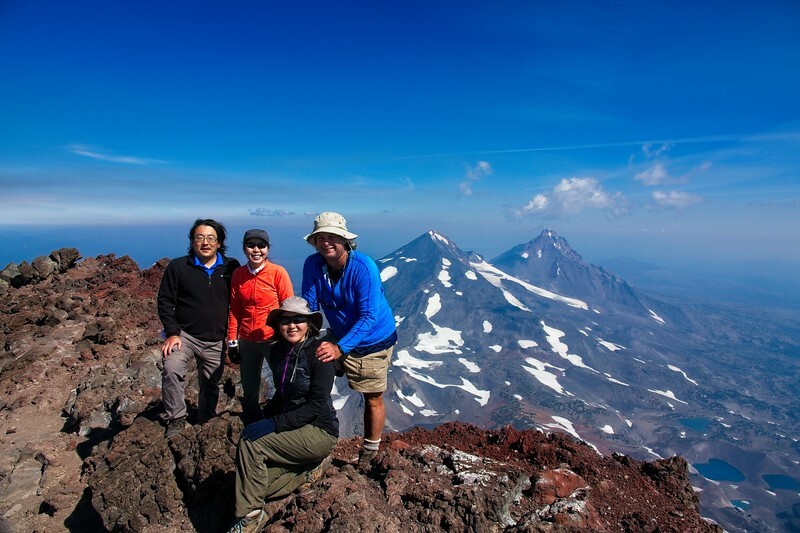 South Sister - 2018/08/05 - Chiyoko & Guy's Photo Site. A quick trip down to Bend for a South Sister climb with Fumi & Akitomo. Car camped at Devils Lake then on the trail by 5:00am. We raced the smoke up the mountain and got to the top before it but had to deal with it on the way down. Still a great day on the Hill! On a mountain looking North! 2018/08/05: Our last climb of the South Sister was a night climb in 2015. We decided we better get back this Summer and do it again before the Forest Service slap a threatened permit system on it in 2019.